I have been a fan of Allison Barnes Yarns from a far for a couple of year snow. My dear friend Stephanie turned me on to Allison’s fibers and I have drooled every time she would share on social media. But alas my plate was always full and I had to wait. Last year Allison came on as a Stitch Up Chicago sponsor and I was thrilled to FINALLY get some of her yarn in my hands as well as turn so many more on to it. It was a big hit! 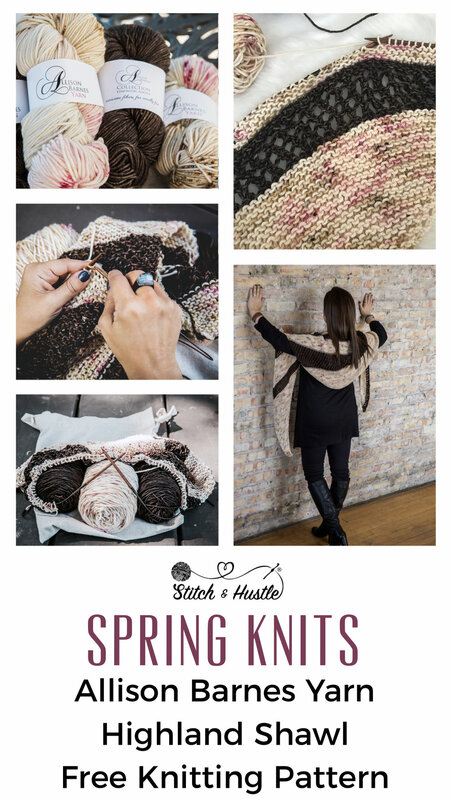 When Allison sent me her worsted in Allison’s Pajamas and Chocolate Brownie I was not only hungry and wanted to have a PJ party but I knew instantly I wanted to design a transitional season shawl. The Highland Shawl is exactly what I envisioned - and we know that never happens in deign process so yay for that bonus! I spent much of my time working on the Highland Shawl design outside and really soaking in the process of the design itself. This yarn was such a delight to work with and gave me so many peaceful moments designing this shawl. I love how there is just a wee hint of the Chocolate Brownie colorway in Allison’s Pajama’s but not too much to overpower the beautiful pinks and reds. AND…. 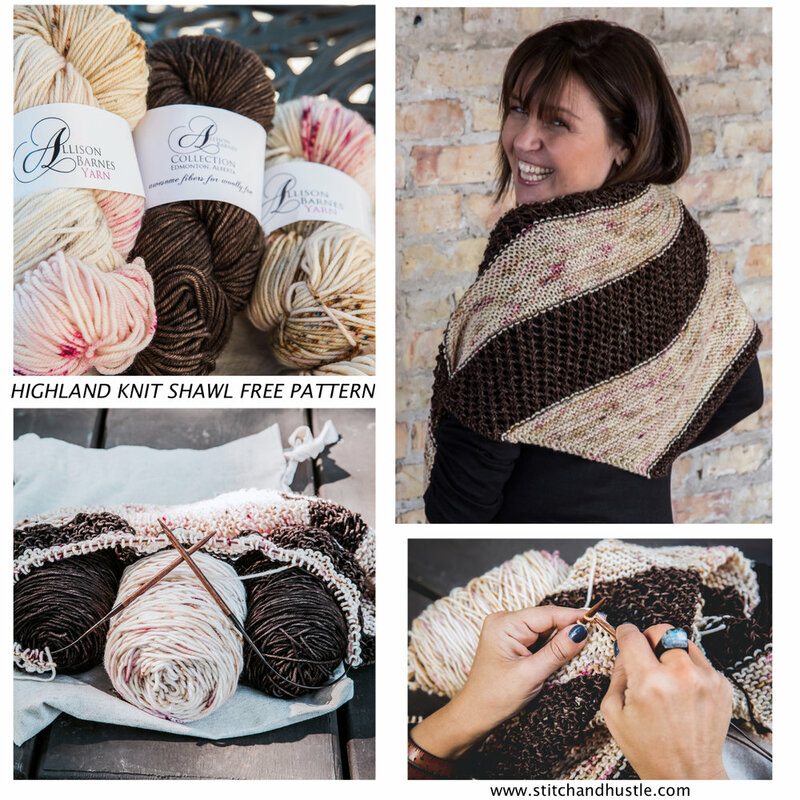 Allison is so generous that to celebrate the launch of the Highland Shawl - use code HIGHLAN15 for 15% off yarn to make your own Highland Shawl. These yarns are just incredible. She is an incredible advocate for creative safe spaces to be creative. Working with Allison and her yarns on this collaboration has been a dream. I hope that you check her out and enjoy the pattern.